We know you were waiting for a vlog from On Your Feet!, so it’s about time we stood up and took some action. 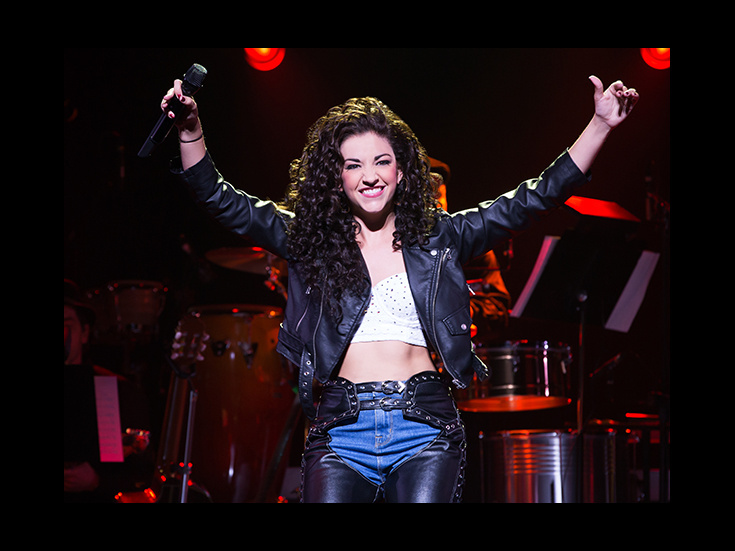 Ana Villafañe, who’s currently channeling Grammy-winning Latin icon Gloria Estefan in the jukebox musical, is Broadway.com’s next video blogger. Get ready for Make It Happen: Backstage at On Your Feet! with Ana Villafañe. Villafañe will show us around the Marquis Theatre, where she and her co-stars do the conga, turn the beat around and count to seven. Expect appearances from her many co-stars, including Ektor Rivera, Andréa Burns and Alma Curevo. On Your Feet! marks Villafañe’s Broadway debut. Like Gloria, she grew up in Miami (they even attended the same high school). Her screen credits include Los American, Hiding and Max Steel. Make It Happen will kick off on July 28 and run every Thursday for eight weeks.